On our visit to Italy this time, we went through the usual Rome-Florence-Venice routine, and then on a whim, or perhaps because friends raved about it, took a leisurely drive along the Amalfi coastline. And what an experience awaited us! Enchanting is perhaps too scant a word to describe this 50-km stretch in the Campania region. What does it not have by way of dalliance – pastel vistas, diminutive beaches, azure bays, enigmatic grottos, quaint fishing villages, rugged shores, and terraced vineyards? Then there are the famed lemon groves conveniently tucked into the landscape reminding you of the fragrant chilled glass of Limoncello awaiting you on the hotel balcony opening up to an expanse of blue blue sea. The serenity makes it hard to imagine that Amalfi was once a bustling maritime power to reckon with, until that fateful earthquake of 1343. It was followed by a massive tsunami, which saw most of the old city claimed by the sea. So, much of what we see today is relatively new. It is interesting to note that the architecture of this region has heavy Arabian, Sicilian and Norman influences. Juxtapose that with the number of villas built in the Mediterranean style in Dubai and you find a striking affinity with the surroundings. The Amalfi landscape, incidentally also a World Heritage Site, is verdant with gardens, both public and private spaces. Ravello, for instance, has played muse to many a philosophic heart. Its spectacular gardens and elegant estates that found a common chord with writers D.H.
Lawrence, Virginia Woolf and E.M. Forster, and composer Richard Wagner, more than complement the striking Mediterranean views. Gardens, one feature that we don’t exploit often enough in our homes, are on full display here, painting the vista in myriad colours –pink Bougainvilleas draped over pretty pergolas, majestic Pandanus and palms share space with vibrant roses and pastel hydrangeas, offering stunning views from the many lookout points or belvederes. 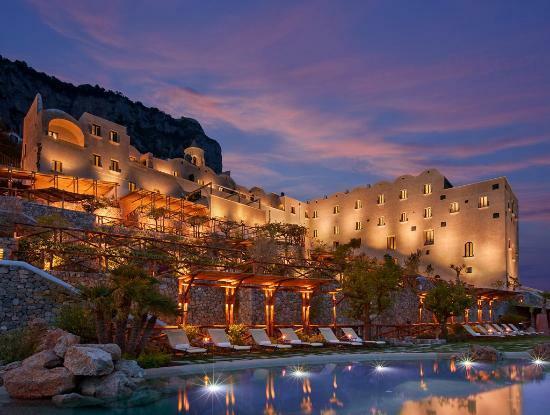 Of course, the temperate weather of Amalfi makes the outdoor more inviting, but that does not mean that tropical climates such as Dubai cannot boast of green havens. In Dubai, technology has played a huge role in turning the city green with blooming flowers and luxuriant plants almost everywhere, which is nothing short of a miracle considering that it is in reality a desert! Bringing in the outdoors is possible today with some effective planning. For example, most homes that boast of some greenery ensure constant and proportionate watering. If you are looking for inspiration, then Amalfi has all the right answers. The high point of Ravello, a picturesque town in its own right, has to be the famed Villa Rufolo that is the setting for Wagner’s ‘enchanted garden’. The garden itself is true to its name and a riot of colours spread across two levels. Hydrangea, Japanese Spindle, Holly, Oleander, Rosemary, Hawthorn, and many more flowering plants prettify the garden while Cedar, Cypress, Ginkgo, Olive and varieties of lime are just some of the trees. 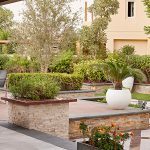 Such an extensive variety will not be possible in Dubai but a resilient and low-maintenance selection can include Raphis palm, Oleander, Pandanus, Ixora, Caecilpinia, Ruelia, Duranta, Bauhinia, Flame of the Forest and Alstonia among several others. 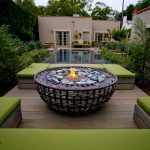 However, the key to a successful garden is in planning the little details that make the natural beauty stand out and shine. The architects of these Mediterranean gardens knew just how to accentuate the glory of nature. Notice the calm cloister leading to stunning views of a garden bursting with joyous colours or the stark walls forming an apt backdrop for a fiesta of creepers. 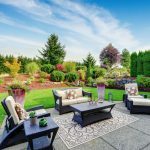 Even today, smart use of hardscapes such as gazebos and pergolas can work wonders to transform a space. An elegant brick pathway or simply some stepping stones can add that old world charm. 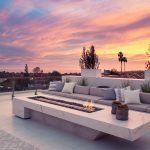 While natural stone paving is practically on the verge of extinction with ceramic and porcelain tiles ruling the roost, if old is what still enchants you, use natural stones. Lingering on in Amalfi is easy, there is so much to captivate the mind. Travelling around Christmas has its benefits – a glimpse of the popular presepes (nativity scene) complete with intricate and life-like figurines of shepherds, pizza makers, shepherds and sheep! These presepes are prepared at this time of the year and are generally placed near or in fountains, sometimes they are so elaborate that they are permanent features of the landscape. In Dubai climes, fountains and other such water features can lend to a cooling and soothing effect in addition to beautifying the area. There is a world of possibility once you find your muse. Are you ready for your green getaway? 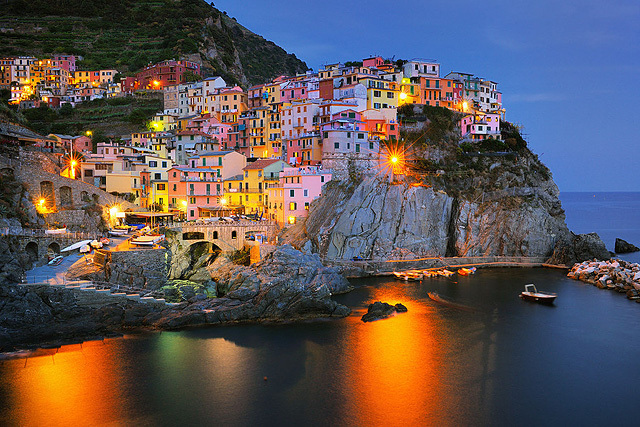 If you’d like a slice of the Amalfi coast in your home, contact us for a complimentary consultation today.